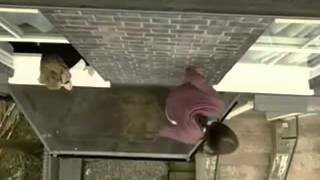 Do you like Eastenders? I do. I miss Bradley and Stacey, to be honest. But we’re not here to discuss their sad love story. Instead, we (or me at least) are going to discuss Lauren Branning. If you don’t know who she is, Lauren is the eldest daughter of Max and Tanya Branning and big sister to Abi and Oscar. 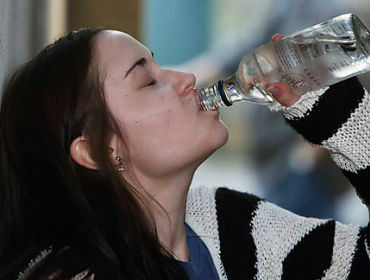 If you’re following the latest episodes of Eastenders, you’ll know that Lauren has a binge drinking problem. Her problem has gone so far that she was rushed to hospital after her liver being damaged. Alcoholism is such an important issue, and one which affects many people’s lives at an increasingly young age. Lauren’s storyline isn’t just for entertainment. It’s based on real-life issues that occur every day and ones that you need to be thinking about yourself. The liver is a very crucial – yet underappreciated – organ in the human body than the liver. Although we may recognize the role that the liver plays, a lot of us don’t fully understand its many functions or vulnerabilities, particularly with regard to alcohol. And yet the alcohol-liver connection is critical, as more than 2 million Americans suffer from liver disease caused by alcohol. The liver is essential to our health as it performs more than 500 different functions. Its primary role is to filter all the blood in our bodies by breaking down and eliminating toxins and storing excess blood sugar. It also produces enzymes that break down fats, manufactures proteins that regulate blood clotting, and stores a number of essential vitamins and minerals. All told, the liver keeps us alive by enabling us to digest food, absorb nutrients, control infections, and get rid of toxic substances in our bodies. If you find it hard to stop drinking once you have started, you could also have a problem with binge drinking and possibly have alcohol dependence. – One in two (50%) street crimes. Binge drinking is most common among 16–24-year-olds, and is more common among men than women. If you begin binge drinking at a young age, it can become a habit. Studies have shown that those who drink a lot in their teens and early 20’s are up to twice as likely as light drinkers to be binge drinking 25 years later. It’s important that if you know someone who is binge drinking that you make them aware of what they are doing and the consequences. Be a good person and try and get them help. “If Lauren was my friend I would have tried to have been there for her, calm her down, told her mum and dad that something is not right and that she needed help. There were clear signs a long time ago, yet not only did Lauren often cover up what she was doing, other people just stayed back and let her go about her business, getting worse and worse.” Says Jaqueline Jossa. And don’t forget to check the info section and other articles here on Wicid.